Kovac was a fine defensive midfielder, often in a 4-1-3-2, protecting the defence while his three midfield colleagues darted forward and put Croatia in control. He understands the role of a holding midfielder perfectly, but barring a surprise late change of heart, he won’t use one. The format of the trio is the interesting thing about the side. Theoretically, any of Luka Modric, Ivan Rakitic and Mateo Kovacic could be used as the deepest of the three, or at the top of the three. They’re all multi-skilled playmakers capable of playing either role. However, while Kovacic made his international debut with a stunning display as the deep-lying playmaker in a fierce clash against great rivals Serbia, he’s instead expected to start as the number ten. This is probably because Kovac wants his best two playmakers in deeper roles, commanding the centre of the pitch. Modric is long-established as Croatia’s most important player, and enjoyed a wonderful campaign at Real Madrid. But his midfield colleague Rakitic had a comparable campaign, captaining Sevilla to the Europa League title, and now seems Barcelona-bound. He offers more physical power than Modric, and together they’re capable of dominating games against almost any opposition in the tournament – arguably only Spain will field a more technically capable midfield partnership. The role of Kovacic is less certain. Although considered a number ten at Dinamo Zagreb, since moving to Inter he’s become more accustomed to a deep-lying role. As expected, he therefore wanders back into deep positions to receive short passes, which risks the side becoming broken – which is an amazingly silly problem considering Croatia are actually using three number tens together. It’s not impossible that Kovac could turn to the steady Ognjen Vukojevic, a natural holding player, which could make sense in the first match against Brazil. On the flanks, Kovac effectively uses two forwards. Ivan Perisic is considered a winger, but in truth he possesses the qualities of a striker. He’s physically commanding, good in the air, can cut inside from either flank before shooting, but isn’t particularly good at crossing. His position depends upon whether Kovac uses Ivica Olic or Eduardo, who are more literally strikers played out wide. Both will probably start games, with Kovac rotating his side. Upfront Croatia have Mario Mandzukic, joint top scorer at Euro 2012 and a significantly better player since then, after two title-winning years at Bayern. Strong, good at holding the ball up and capable of starting the pressing, he’s an all-round striker but doesn’t guarantee goals. Still, he’s perfect to lead the line in this system, with two forwards out wide, and plenty of midfielders providing the support. He’s suspended from the opener against Brazil, however, so Nikica Jelavic could start if Kovac wants a tall central striker. Alternatively, Eduardo or Olic can move upfront. The main overlapping will come from captain Darijo Srna, now 32 but still a brilliantly effective attacking full-back, capable of motoring forward to receive passes and crossing without breaking stride. His battle against Neymar in the opener will be fascinating. On the opposite flank, Danijel Pranjic is first-choice in a more steady role, but picked up an ankle injury in the friendly win over Australia and is therefore doubtful. Croatia would probably be playing a right-footer if Pranjic fails to make it – Sime Vrsaljko or even Dejan Lovren. Lovren would expect be used in the centre alongside Vedran Corluka. There are real concerns about this centre-back pairing, because they’re simply not on the same wavelength. Corluka’s mobility has declined dramatically and he always drops back towards the penalty area, while Lovren is accustomed to playing in a high line at Southampton and always wants to step up and play offside. Because of this problem, Gordon Schildenfeld – not as good at Lovren, but maybe more suited to the system, could well play instead. Stipe Pletikosa will be frequently called into action, despite the fact Croatia should dominate games. The climate could also be problematic. Facing Cameroon in Manaus will be a huge ask for Croatia, and Mexico in Recife isn’t much better. Croatia initially seem extremely attractive when you assess their midfield trio, but the more you consider areas of weakness – left-back, central midfield, the lack of pace at the back, the absence of genuine width – they feel like a team only boasting one quality. That means they’ll control games, but converting this dominance into victories is another matter, and Croatia will probably go home in the first or second rounds, having impressed but frustrated. Key tactical question: Does Kovac take a backward step and play a holding midfielder? 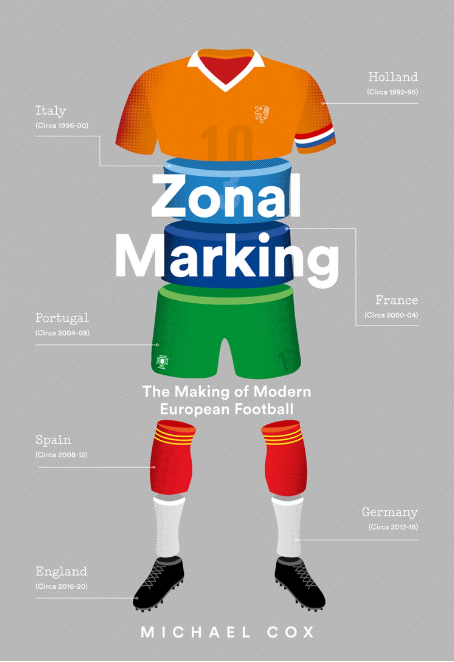 Excellent analysis, with one little mistake: Eduardo and Olic are both left footed. This is a much weaker Croatia team than in the past few international tournaments, they have some top class players, but the team as a whole has some glaring weaknesses as ZM pointed out. They look extremely open at the back and lack the firepower to kill off teams. Brazil should stroll past this croatia side, though considering the other opponents in this group, Croatia could still progress into the next round. Being in a weak group could cover up some of their weaknesses. Given there poor options outwide, couldn’t Rakitic move out to the left to provide some quality in that position, with Vukojevic coming into the middle alongside Modric. Croatia would still dominate the ball, but have one of their most talented players nearer the opposition goal. Maybe even to the right side, so he can combine with Srna, then have Perisic stay outwide on the left to stretch the opponent. Kovacic out right has been mentioned as a legitimate possibility with youngster Brozovic to play as holding mid. Kovacic played out wide in the playoffs after Croatia were down to ten men. Not he sure Kovacic ever looks comfortable outwide though, whereas Rakitic has regularly played there before for Croatia. Seems a bigger goalthreat as well, so moving him further forward seems ideal. Rakitic had been wasted in the past playing on the wing, since he does not have pace and dribbling skills to influence games from there. In addition, it leaves Modric isolated in the middle to create everything on his own against the whole opponent team’s midfield (the game with Serbia away was the best example). I do not see what is wrong with having inside forwards on the flanks verse crossing wingers. It is definitely less predictable way of playing, especially while having good crossers at full-back’s positions. Germany is playing with inside forwards and doing just fine. Persisic finally made a step forwards in terms of consistency this spring in both offensive and defensive aspects of his game. Croatia has five players who can do a decent job on the flanks and that does not include Eduardo (Perisic, Olic, Rebic, Kovacic, Pranjic). He is definitely better controlling play in the middle, but I disagree that Croatia has good options outwide, they struggled to qualify because of a lack of quality in that position (coupled with an unorganised defence). It’s fine having inside forwards, but Croatia’s options offer no real threat. Rakitic could play on the right and then drift inside to allow Srna forward. He would be able to influence the midfield play and combine with Modric and Kovacic. Brilliant write-up as usual. I do disagree with a few points though. Personally, I think this is the best squad Croatia has fielded since their impressive 2008 team. I’m not sure enough credit is given to their wingers- Perisic and Olic. Perisic is a frustrating player but has been on form as of late. Olic is proven at this level, and is coming off a great season with Wolfsburg. Most of Croatia’s goals in qualifying were created from the wings, and Mandzukic is a great target in the middle. I would be shocked if they don’t make it through to the second round, despite a shaky defense. I’ve seen worse CB pairings than Lovren and Corluka. Dejan has proven himself in the EPL and Corluka has been playing well in Russia. I think this weakness has been exaggerated because of Croatia’s poor results under Stimac. The only true weakness is one of the wing/forward positions. Olic is a poor option out wide. Perisic is back in form and more than capable. Top comment is pretty unaware of Croatian football. Summary: I can’t remember the last time our central defense has been this safe. All four players at the back will be known for good ball control, which will help supply the central midfielders at a much higher rate, which is obviously going to be Croatia’s strength. RW – Perisic – Best season of his career. Has notably improved his balance and physique. We haven’t had a winger as good as him since I can’t remember when. CM – Rakitic – Enough said. The only risk will be playing him and Modric in CM at the same time as neither is strictly defensive minded. CM – Modric – Enough said. Same goes for him as goes for Rakitic. AM – Kovacic (hopefully) – Our most lethal player. Coming off an amazing stretch of games to finish the season for Inter. LW – Olic/Eduardo – Our one major weakness. Olic is a great player, but he won’t be serving and threatening passes inside. Eduardo doesn’t have the speed for the position. Alternative CM – Vukojevic – Serves a purpose, but overall a weak link. ST – Mandzukic/Olic – Olic would be favorite to start in that role against Brazil. This is another one of our weaknesses, and that includes Mandzukic who hasn’t been performing great the past few months. What to do against Brazil – Play Kovacic as a left wing in the hopes that he will cut through defenses as he’s by far our quickest player. Start Olic up front. I’m relishing the low expectations as this team has never been this stacked. The main reason is really the fact that the entire center line and midfield has peaked at the perfect time of the year. Everybody agrees that Croatia has quality players, I mean just look at that midfield trio!! The problem that everybody points out is the lack of shape. I would agree they have talented players, but they haven’t played well together previously. A strong defence can be more about the partnership between the individuals, which I think Croatia lack. The lack of protection from midfield doesn’t help. 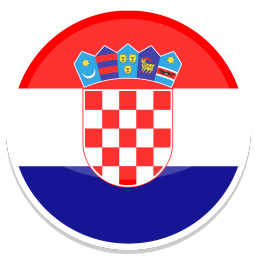 But I think the new manager has greatly improved the side and its not improbable that Croatia could click together as you say and go on a good run, the ingredients are there bar a lack of quality out wide. There is flexibility in terms of how and who is going to play depending on opposition. For example, I would not be surprised if Kovac fields a strikerless formation against Brazil with four central midfielders and Perisic and Olic cutting in from the flanks. He successfully did something similar once while being the u21 coach. In addition there is flexibility in a way that the team can play both on counterattacks with deep defense, and a game based on possession. The climate conditions will actually favor teams with good ball retention, and be problematic for teams based on pressing high up the pitch. Although disagreeing about the statement about weak positioning of Croatia’s central defenders (I think that it is one of their very few strong points), IMHO the Croatia’s weakest point is defending against strong physical strikers and set-pieces. I can see more likely Fred as being the man of the match after scoring a header coming from a speculative cross, than Neymar. 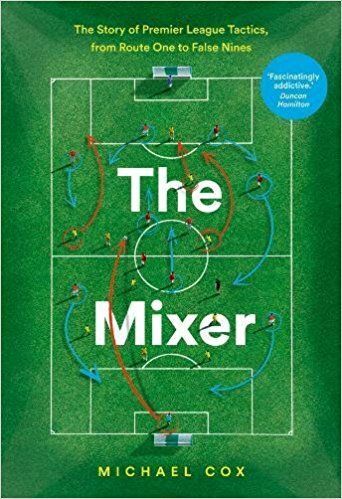 I agree that a 4-6-0 might appear, as it would allow workhorse ˝forwards˝ to pressure Brazilian midfielders into mistakes, or at the very least, slow the flow of the ball. Mentality though, is the key. Croatia traditionally does well against big favorites with big names. We get fired up. When the opponent is less glamourous, then Croatia is expected to attack, but the players don’t have the focus or battling desire that shows up against the top teams. Cameroon and Mexico may be more dangerous than Brazil- in a quest for victory, space for counterattacks might be inadvertently created. And we’re not the best match for a high defensive line. I think more than anything, the weather conditions are what plays a big factor in limiting a talented Croatian side in this tournament. 2nd spot will be between them and Mexico, as Brazil is by far the superior team in this group(if nerves don’t play a part), and Cameroon is not a cohesive team. Rakitic has been wasted for a very long time on the right wing, but should be deployed centrally with Modric. There have been talks of Kovacic being played wide, but I’d rather see him either on the bench, or playing a pressing role higher upfield as Allegri used KPB and Cossu. Other than him, Croatia lack players supporting their centre forward from midfield, which will result in a shortage of goals. They really are a romantic side of playmakers. As a mix of physical as well as technical prowess he wd be the missing stabilizer for the “playmaker”-deluge =)He would make them extraordinarilly variable and stable at the same time in the centre which could counter the fragility esp. on the left flank. I don’t know – this spielverlagerung.de seems to me, and not for the first time, rather pretentious stuff: “options-orientated zonal marking”, “passive-offensive pressing”, and a 4-3-3 with Rakitic as central attacker… And Badelj may have been one of the better players at Hamburg, but considering the truelly awful season HSV has had, that’s not really saying much. Naive question here: what do you mean when you say, in the paragraph about Kovacic, that it “risks the side becoming broken”? That they won’t be able to connect passes together to move the ball upfield?